Hear that? That’s the sound of just over 2000 start-ups launching in the UK every day! That’s quite a few, and if you happen to be one of them; taking a small budget and creating a big impact is an absolute must! Beginnings are tough, so putting an effective social strategy in place can help you to add value to your brand in the early days. So, you’ve set up your social media accounts, uploaded an eye-catching logo and filled in all the blanks required. Now what? Gone are the days of inviting your friends to like your page, posting a few times a week, sitting back and marvelling at your beautiful online hub. Yes, it’s frustrating. AND it’s really fun. Because you get to fully delve into this mad world of social media and discover a lot about your brand and your followers. Plus, if you do it right, you’ll create something of value. I’ve pulled together my top tricks to get you steaming ahead with your social media pages. The first thing I’ll say is, don’t stress it, social media should be FUN and if it’s not fun to you, it won’t be fun to anyone else which is a non-starter for success in my book. Back in the day, it was seen as an optional gimmick, but you can’t afford to put social media at the back of the queue anymore, let’s have a look at how you can maximise the potential of social media and lift your brand. 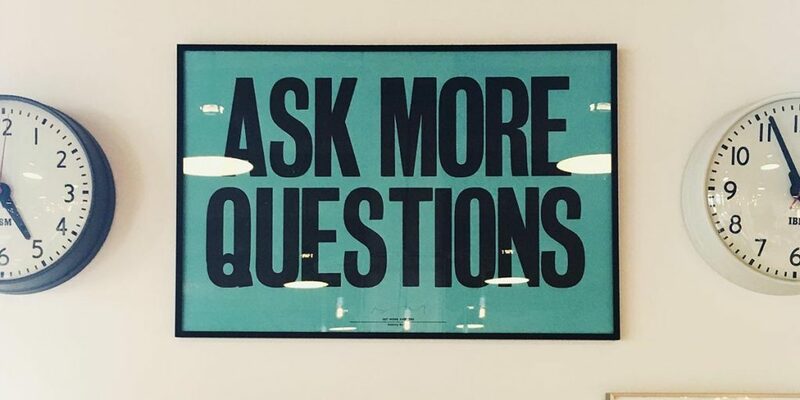 Setting out your social media strategy before you do anything is essential! Think about your brand and your specific objectives. You need to do a bit of soul-searching about your start-up, because if you don’t know who you are and what you want to say then no-one else will. Do some research on the type of social media platforms that your target audiences visit most and the type of content they like, share and interact with. Pick platforms that align with your start-up’s goals and objectives; look at age of your audience, locations and the nature of your start-up’s services. Your social media presence should feed into the rest of your brand culture and digital output i.e your website. Making sure your tone of voice is consistent. People respond to people. We recognise human behaviour and empathise with emotions and actions we can relate to. Don’t be static, don’t copy and paste a template and don’t sound like any old robot. Find your brand’s voice and run with it. Create content that will evoke a reaction in others; inspirational, helpful, funny, interesting, shocking even. Mix up your Facebook posts with a variety of content styles and see what works best for you. This, in a nutshell, is taking great content from other pages and repurposing it for your own followers. Click on each page to see their top posts of the week and if you find one that would work for your voice and audience, save and re-use it. You can also sign up for newsletters, Google Alerts and keep an eye on content cropping up on your personal Facebook page and other social media accounts. Share the curated content onto your page as an article, take a quote from it, re-jig and post it onto your blog or website (with permission and credit, of course) and then share. Bingo! This is a huge part of a successful presence. Imagine you’re at a party and you only talk about yourself. It won’t take long for people to shimmy over to the bar and stay there. Social media is the same. Yes, sometimes people want to know what you’re up to, but a lot of the time people like to leave the conversation feeling valued, listened to and have some knowledge they didn’t have before. Now, this should go without saying but it is crazy how often I’ve been on a Facebook page to ask a question, leave a comment or review and never heard anything back. If you have a product sitting on a shelf somewhere or only visible through a website, social media is the most amazing tool for giving that product a voice and a personality. Take advantage of this by setting aside some time each day to engage with your followers. Get to know them because: a) they are the ones who will buy your product, share your posts and tell their friends and b) make love not war, right? Get off your page and delve into the depths of Facebook. Find other pages to like as your page and spend some time reacting and commenting on other posts that are being shared. Followers of that page may well see your comment and if it’s witty enough might jump over to check out your page. The owner of that page may like your style and want to collaborate – share each other’s content, run a joint competition or campaign. You’ll get a great idea of what others in your industry are talking about and be on your way to being the social butterfly networking extraordinaire among your peers. And what is it they say about it’s not what you know…? No doubt you’ve heard this term winging its way around the internet and maybe you’ve wondered, “okay, these are people that influence other people on social media, but where they at and how can I get them to influence people about my brand?” Well, I’ll tell you. We wrote a post recently about the rise of influencer marketing which I highly recommend you check out (plus it saves me re-hashing all the juicy information in it!). Have a look through your current followers and see if there are any micro-influencers lurking. These are the ones with 1,000 – 100,000 (genuine looking!) followers. If they already follow you they are more likely to want to work with you which is a good place to start. After this search, you can extend your hunt. 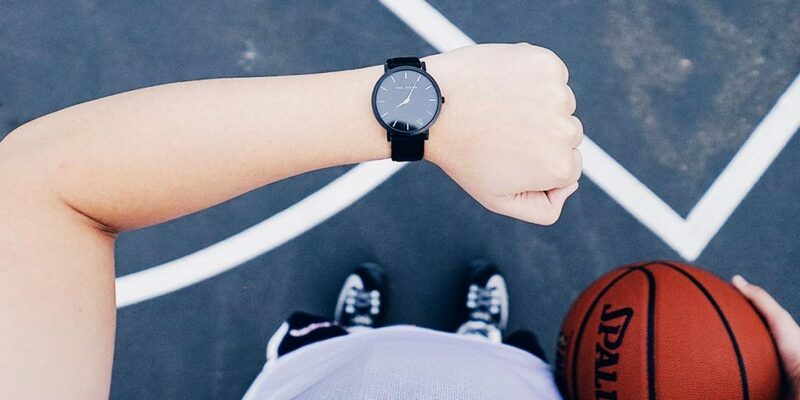 There are several ways to get your hands on these Instagram influencers depending on how much time and money you want to spend. First up: more time than money. Use Google and Instagram to manually search for users in your niche using keywords, hashtags and brands. Pop your finds into a spreadsheet along with their contact details which may or may not be easy to find. Second up: ain’t nobody got time for that. Once you’ve got a batch of shiny influencers, it’s time to attack! Okay, maybe not quite that ferociously. It’s a nice idea to start by building a rapport with them; follow them, engage with their content and basically get yourself on their radar. This will also give you a chance to see the types of brands they work with and get to know their style; helping you to approach them in a way they can’t say no to! If it only took a quick like and a follow to be in with the chance of winning a weekend away or a new laptop, would you do it? I know I would! And therein lies the magic of Instagram competitions. You can get some real traction with a just a little bit of planning and prizes. There are lots of different competition styles to try. See which fits best for you. Simple is often best and a ‘like’, ‘comment’, ‘follow’ or ‘tag a friend’ to win mechanic can work wonders. You can even whack ‘em all together and ask people to ‘Follow our account, like this photo and tell us who you’d take to Paris with you and why in the comments! Don’t forget to tag them in ?.’ A great photo to go along is a must…this is Instagram after all! 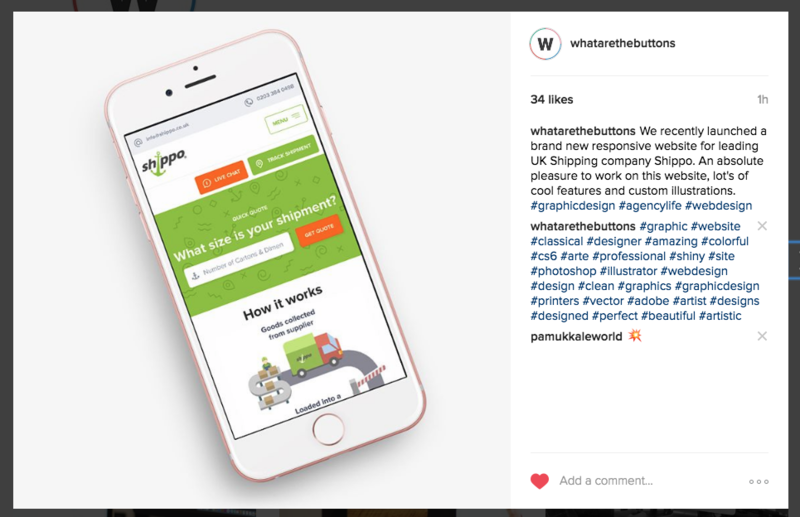 Another great one is to ask users to post a photo on their own Instagram account using a particular hashtag and tagging your brand for a chance to win. Get creative and don’t be afraid to promote your Instagram competition across your other social media pages, website, newsletters, on products – whatever works for your brand. Be sure to familiarise yourself with Instagram’s Promotion Guidelines and set some T&Cs for your competition to cover the rules, the dates, the announcement, the delivery of the prize and any other specific things to note such as a minimum age. Keep a record of the competition results and metrics – engagement, follower count, hashtag use, website hits, product purchases, reaction – and compare with different competition styles and prize offerings. 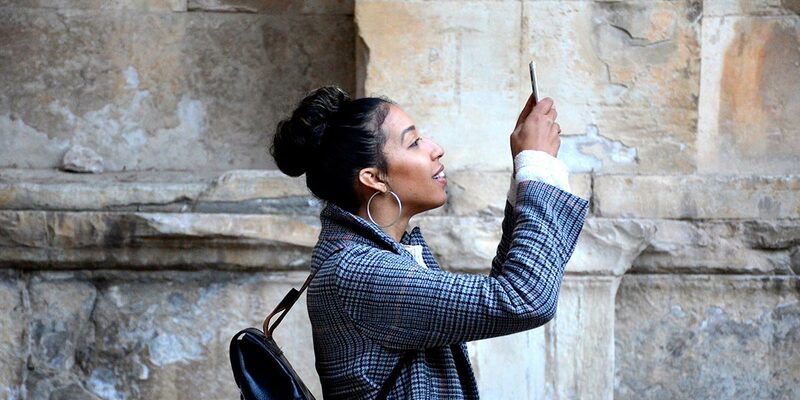 User Generated Content (UGC) is just that. Content created by users other than yourself. 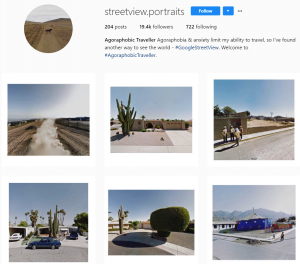 Many hugely popular Instagram accounts are made up solely of UGC, like this one which is populated with Google Street View snaps. 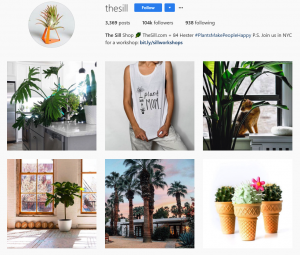 Get old school and open Instagram on your desktop rather than through the mobile app and start to search for popular accounts with images relevant to your brand. Once you’ve found one, start hovering over all the images until you find one with the most engagement. Then head over to the app on your phone, find that photo again, ask permission to use it, and repost it. You can’t yet do this directly from Instagram so will need a third-party app like Repost or Buffer. Just click those three little dots on the top right of the Instagram photo you want to repost and choose Copy Share URL, you will then be able to post it on your own page. UGC is a brilliant way of populating your account with gorgeous images while creating contacts and saving you the time and resources it takes to create your own images. There is nothing wrong with a mishmash account of original plus UCG. The Sill in NYC does this really well. Social media is also a valuable way to make your start-up attractive to new talent. If you want your start-up to grow then you need the right team around you. 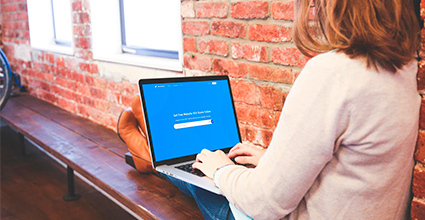 Your social media channels can help you access an audience of potential new employees. You can also give a good idea of what your brand is all about and the values and ethos that you promote. Use social media channels to advertise your start-up and to sell the advantages and excitement of working with a start-up. 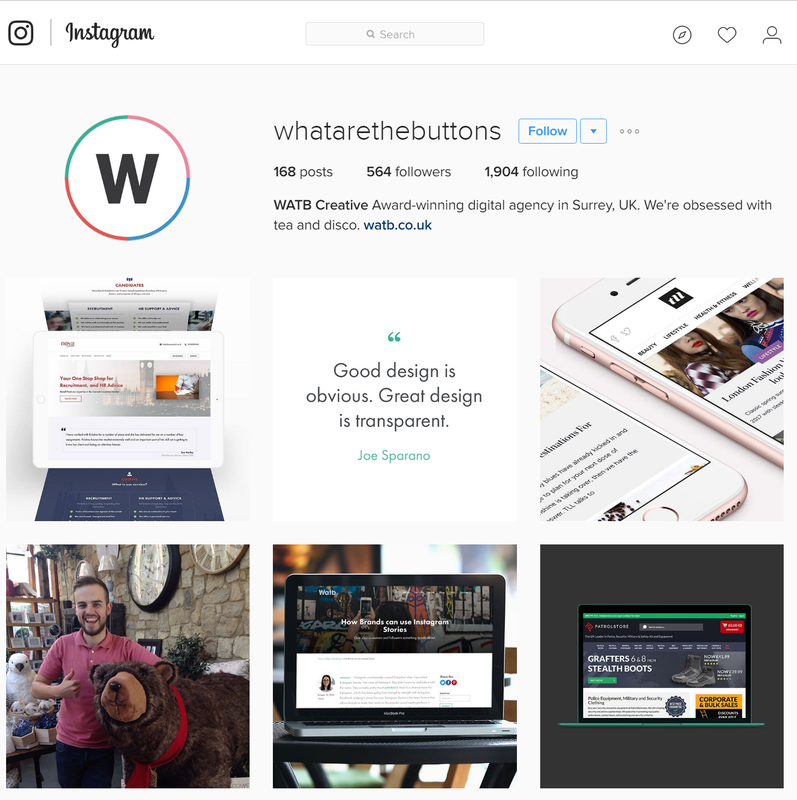 Instagram is the perfect channel to show off your start-up’s personality and the people behind your brand. Don’t worry, you don’t need to experiment Frankenstein style, but pushing your start-up into new territory and testing out new ideas is a useful consequence of social media usage. Social media in itself is constantly changing and you have to be reactive and highly responsive to its rapid nature. ‘Thinking outside the box’ is a prerequisite you need to adopt. 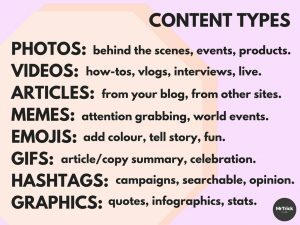 GIFs, Emojis, Live videos, Moments, Stories – all buzz words on social media channels that you need to get familiar with. 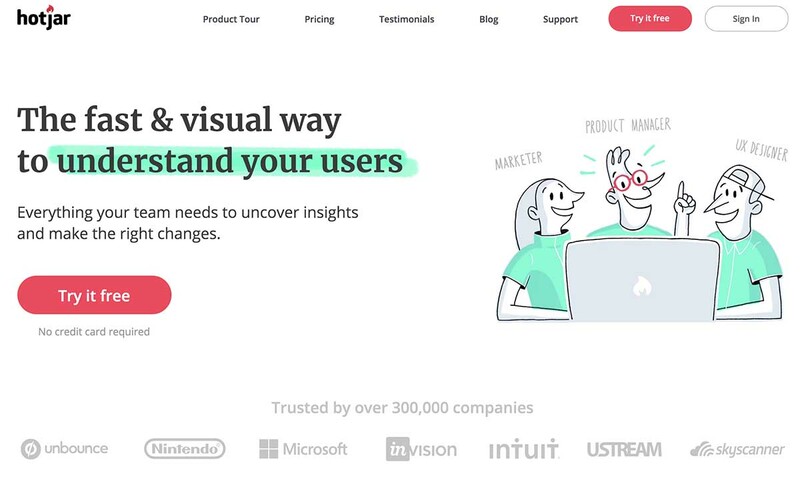 Testing out ways to connect with your audience is a really important way of seeing what your customers engage with early on and it’ll help you to strategize, plan content and get into a start-up frame of mind; you need to be creative, innovative and always thinking of new ways to build your brand. One way to take advantage of public holidays is by sitting in your pants, eating ice-cream and watching Netflix – but another, equally important way is to use bank holidays to build your brand and generate more leads. Bank holidays can be a competitive time for brands, as you jostle for space in a crowded marketplace. Come on, there’s only so many egg-based puns you can use around Easter time before consumers get exasperated (sorry). But holidays do give your brand a good chance to get creative, show your fun side, do something a bit different and compel consumers to take action. You can make some sweet gains with the free time that most of the country will be enjoying – whether that’s encouraging people to use your brand or nudging more visits towards your visible content. Start crafting your festive content and marketing strategy in advance by referring to a snazzy PR Event Calendar calendar like this. Consumers usually start planning what they’re going to do with their bank holiday about a week in advance – so that can be making their bookings or buying items that they’ll need to have a super fun time (beer…more beer?) or a more practical DIY filled one. Bank holidays prompt a more thoughtful approach to spending, so filling consumer’s minds with messaging a couple of weeks in advance and focusing on content that tries to sell experiences and emotions is a good idea. Pinterest boards and Instagram feed full of strong visuals are effective. You’re also going to have last-minute shoppers, so work on putting your brand and its content at the front and centre in the days leading up to a holiday. Keep an eye on the weather, so you can make changes to your offerings and create timely accessible content across platforms for eleventh-hour shoppers. Your holiday content deserves to be seen (cos it’s ruddy great) and it can benefit from a boost on social media and a push in the right direction. Drive traffic towards your posts or specially created microsites using social channels. As mentioned before, where are your target audiences hanging out online? What type of content do they enjoy? When are they likely to interact and engage? Use the data that you have at your disposal to intelligently place your social media campaigns in the right places before a public holiday. Fun, themed public holidays let you relax your brand and your usual image – use GIFs, Emojis, Live videos, Moments and Stories to get everyone involved. What is it that can make a particular public holiday unique? Some holidays have obvious selling-points like Easter or summer BBQ-filled bank holidays. Lots of themed days aren’t actually public holidays at all, but that doesn’t mean they won’t be celebrated, like Valentine’s Day, Halloween and Pancake Day. 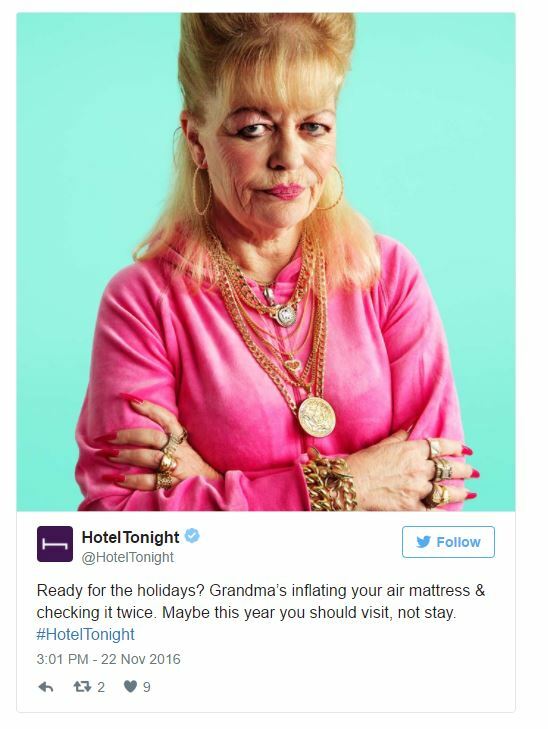 Using humour is a really effective tool for holiday marketing – you can get extra creative with your output. Authentic content is usually appreciated too – lots of people are a bit tired of Instagram-perfect visions of the holiday, they want something fun that they can relate to that captures the mad scramble to entertain the kids, sitting on the sofa with a bowl of crisps or a last-minute dash to the airport after forgetting your passport. You’re going to have to accept that you’ll probably have to use some puns, so start throwing some ideas around to find the perfect balance of funny and witty. A good rule is that if it makes people sigh or groan then move onto the next. There’s an absolute rafter full of fun and unusual holidays that you can decide to get involved in. 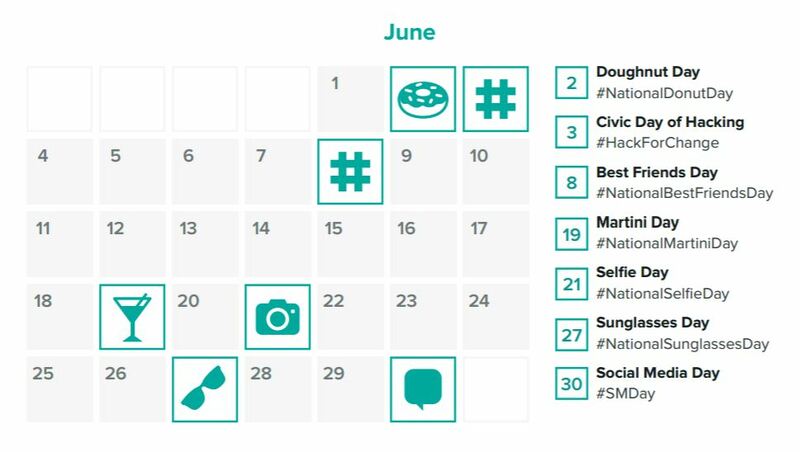 We’ve attached a brilliant resource from Sprout that you can use to spot all of the primary hashtags that are being used on specific days. As you can see, there’s a lot to keep your brand busy with. You don’t have to put all of your efforts into French Fry Day (but why wouldn’t you?! ), you can cater specific deals and discounts around these events and improve your reach, as you use the hashtags. Keep your content light and funny and bring people to your brand because of your fabulous personality. 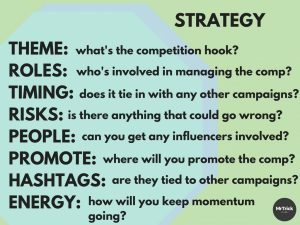 Using hashtags on social media can be confusing, here’s a quick guide to getting the best out of those pesky #hashtags. Use these sparingly, no one likes an over tagger on Twitter. You probably want to max at around three hashtags, ideally only two! 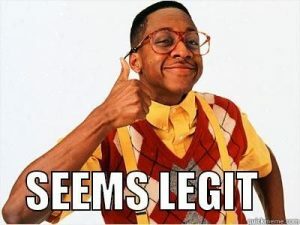 In fact, Studies show that tweets with more than 2 hashtags receive 17% less engagement. This tool ‘hashtagify‘ lets you find out the most popular hashtags based on your search. It also allows you to see related hashtags, and which of those is most popular. Very cool indeed. Hashtags are used a lot more on Instagram, again, finding the relevant tags can be tricky. There’s a nifty tool called http://www.tagblender.net/ which allows you to select 10 or 30 hashtags from your relevant field. This means you can grab 10 from 3 categories… Still following? Instagram only allows you to use 30 hashtags. There’s a cheeky trick you’ll see people using, and that’s popping in your hashtags in a comment on your post. This allows your image to look clean and not too spammy, but you can still get your hashtags in there. Delete the comment a week later to clean it up! You can use hashtags in the search bar to see what people are saying about a particular topic, which is a common way to digest these days. When using your own, take the time to look up how people are using them. Keep it relevant and keep it simple. You can use hashtags in the Facebook search bar to see what people are saying about a particular topic, which is a common way to digest these days. When using your own, take the time to look up how people are using them. Keep it relevant and keep it simple.